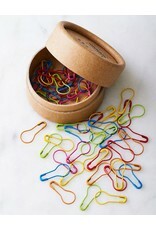 These colourful opening stitch markers help you mark rounds, increases, decreases, and stitch patterns. Easily add or move the markers by putting them on your needle, crochet hook, or directly on stitches. 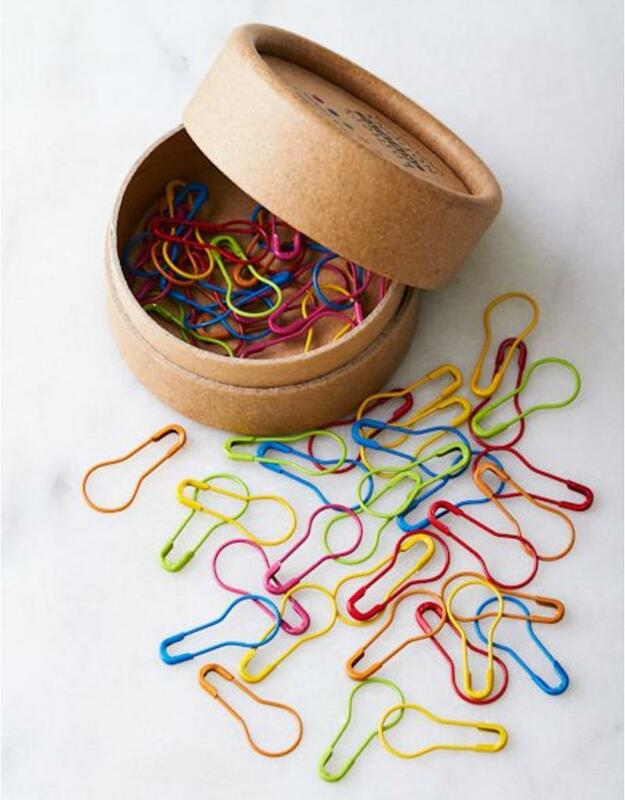 These steel markers attach to your Knitter's Keep or any magnet so that you can easily store and retrieve them. Stitch markers accommodate up to US 11 needle. Included are 10 each of 6 muted colours. Please note that the opening stitch markers are painted, not nylon coated, in order to keep them delicate and to prevent them from leaving ladders in your knitting. With extended use the paint may begin to wear off giving them a rustic look, but enough paint should remain on the marker to distinguish each of the colours.